The youngest of four children, Elizabeth Bass grew up outside of a very small town in East Texas in pre-NetFlix days. The first loves in her life were animals and Humphrey Bogart. Had it not been for a father who kept the house full of books and some tireless elementary school teachers, she could have happily remained an illiterate rabbit caretaker addicted to black-and-white films on the late late show. 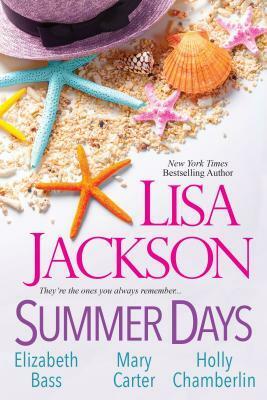 Before writing Miss You Most of All, she published thirty romance and women’s fiction novels under the name Liz Ireland and co-authored two Regencies with her sister as Alexandra Bassett. She lives with her husband in Montreal, where she writes and does freelance editing. An elderly cat or dog (or two…or four) can usually be found in her apartment, and during the busiest day she can often find time to sneak in an old movie. I know you probably get this all the time, but I just finished “My Favorite Marquess”, and I have been searching all over for a hint of a third book. This page mentions the two novels, so obviously the third does not exist. So the question is, will there ever be a book for Sophy? Or should I just give her and Freddy a happy ending of my own? So glad you liked My Favorite Marquess. Sadly, Sophy and Freddy never got their own book. Feel free to imagine them happily bickering their way into the sunset! Yo, that’s what’s up thrutuflly. You’ve created a summer I felt part of and I’ll bet another story of their lives would be just as enjoyable to share. Thank you! There will be a short story featuring the same characters in the upcoming Christmas Anthology from Kensington, “Making Spirits Bright.” I hope you’ll enjoy it! I guess this means no more wonderful historic Westerns? Or Alexandra Bassett historicals? If so, I will certainly miss the hours of reading pleasure your wonderful imagination has given me and the books you added to my keeper shelf. Hi Linda, I do hope there will be more Westerns someday–they are some of my favorite books to write! I’m so glad you liked them. I just finished Miss you most of all. I loved it, loved it, loved it. It is marvelous and memorable. Now I want to find where Grace is needed. You are now among my memorable authors when people ask me for authors and book titles. Wow, what a nice compliment, Joyce. Thanks so much! I hope you enjoy Grace. I am reading “Runaway Christmas” and loving it, especially the passage “When she was younger, it had never occurred to her that the biggest gift of her life was sitting a few feet away–her mom herself, who she’d always assumed would just be there. She would have given anything to be opening a boring nightgown this morning.” Thank you what comforting thought for all of us that have lost our mothers. Looking forward to reading your other books. Thank you, Marguerite. (Love your name, by the way!) I’m so glad you’re liking “Runaway Christmas”! Hello, I just finished reading “My Favorite Marquess.” Thank you so much for it. I tried to make the book last for as many days as I could because it was so nice to be in the world you created…with flawed yet lovable characters. I actually felt more at peace with the often-annoying people around me! Please, please consider writing more ! You’ll make lots of people happy. Thank you so much! We enjoyed writing “My Favorite Marquess,” so it’s great to hear that it’s still getting some love! Glad you liked the book, Elizabeth Bass! I hope you write lots of bestsellers. My wife and I are voracious fantasy and SF readers but we’re also on a fixed income (not oppressively so but neither is it generous). Consequently we’re also avid fans of paperbackswap.com and abebooks.com. When I make a request from another paperbackswap member I usually peruse their listings to see if they have any other books which look interesting. The more books I request, the less that member has to pay per book credit. Thus it was that I acquired a fantasy novel entitled Charmed I’m Sure which my wife and I thoroughly enjoyed. She is a far more picky reader than I and it’s often challenging to keep her supplied with books she’s willing to read. When I find an author she likes I always look for more books from the same author. That’s how it has come to pass that we’re suddenly reading romances. I’m not the callous sort of fan who never buys new books yet feels entitled to make demands of you, not at all. I’m fully prepared to but my money where my wishes are. That being said, if you write (or have written) any other fantasies I promise to buy them at retail (as long as Amazon isn’t my only option – I don’t buy books from Amazon). Meanwhile, I’m sure we’ll continue to read whatever you write. Thanks! Don, thanks for the kind words. Charmed, I’m Sure was one of my favorite books to write. It’s great to hear from someone who liked it. I haven’t written much fantasy, unfortunately, so I can’t point you toward any others like it. And I’m thrilled when anyone enjoys reading my books, whether they’re bought new or used, checked out from a library, or swapped! Hi Elizabeth. I have read as many books of yours that I can find, really enjoyed Miss You Most Of All. Wherever Grace Is Needed & The Way Back To Happiness. I think you REALLY found your voice with those ones. I am retired now but spent most of my work life selling & then merchandising books, also worked in a Library for a time. I have been an avid reader all my life, have a too large book collection that I am now slowly donating to seniors homes & libraries. I’m not so much into short stories or anthologies so I hope to see some more full-length books from you soon. No pressure of course! Keep up the good work. Thank you, Joyce! 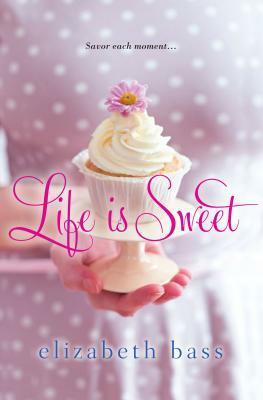 A new book, Life Is Sweet, will be coming out at the end of September. I hope you’ll enjoy it! Hi Elizabeth, I typically read mysteries and would not usually look at books such as yours. I happened to win Miss You Most of All and I really loved it. The charachers were great, and i found the story very moving. I read Wherever Grace is Needed and found it just as good. I plan on reading your third book soon, and will look out for your new book in the fall. It may seem strange for a guy to say that he finds book such as yours to be so rewarding, but that is the case here. Thank you for great work that you do.. Thank you, Patrick! It’s really gratifying to hear from you. I hope you like the next books as much as you liked the last two! I did read Life is Sweet Liz & gave it an A+. So now, just waiting for the next book! I also just found out that you lost your sister awhile back & I can commiserate totally with you as I also lost my beloved younger sister recently. She was also my best friend and a fellow reader whom I shared books with always. It was devastating to go thru her library at her hubby’s behest & remember all the conversations we had over some of the books & dispose of them by donating them to a seniors home where she lived in Calgary. Even after a year my other younger sister & I cannot talk about her without tears. I miss her so much. I still will read a book or see flowers (which she LOVED as I do) without thinking, “Norma would love this” or “I should call Norma & talk to her about this” before it hits me that I can’t. So I can sympathize with your grief at your loss & know your memories will comfort you.